As Tropical Storm Isaac moves through the Caribbean, officials in Monroe County say they don’t plan to evacuate residents. Officials decided not to issue an evacuation for tourists as of Friday, but they did declare a local state of emergency in the county. 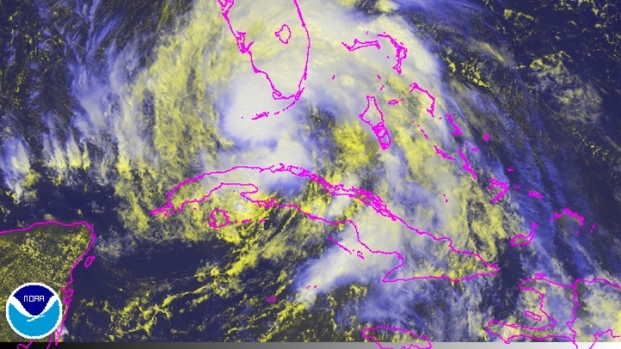 “The greatest threat would be heavy rains because of the area the storm covers,” said Bill South, a meteorologist with the National Hurricane Center in Key West. He predicted Isaac would bring 6 to 8 inches of rain to the area. A hurricane watch was issued for the Florida Keys Friday night, 48 hours before the area begins experiencing the effects of the storm. “The onset of tropical storm force winds are possible Sunday afternoon and Sunday night,” South said. Irene Toney, the emergency management director for Monroe County, said they would open three shelters for mobile home residents and those living in low-lying areas. Beginning Saturday, the shelters will open at Key West High School, Coral Shores High School in Plantation Key and Stanley Switlik School in Marathon. The news of no evacuation – yet – was good news for tourists in Key West. “We’ve survived a forest fire, so we can survive this,” Trina Brown said. The scene at Porky's Bayside BBQ Restaurant in Marathon seemed to epitomize the laid-back mood in the Keys. 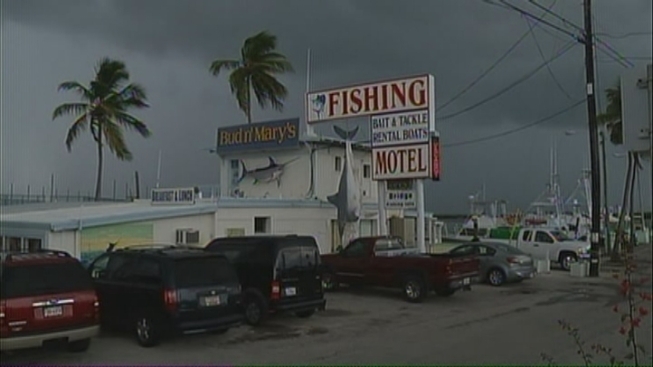 "Well, Isaac's just another one of those storms that comes through the Florida Keys from time to time and over the years,” owner Johnny Maddox said. If Isaac turns into a Category 1 hurricane, that’s not a problem, he said. “If it gets any worse than that, well, then we might have to do something," Maddox said. "But we’re prepared, the marina’s ready, the restaurant’s ready, we got a party scheduled for Sunday." Toney said that Monroe County's public schools, government offices, sheriff administrative offices and the courthouses will be closed Monday. She said officials are strongly encouraging residents to be prepared for the storm and stay off the roads on Sunday. She said residents should secure patio furniture, pool furniture, tie down their boats, get batteries in case of a power outage, stock up on extra medication and get cash. “It is a large storm. 'Til it’s well away from us, that’s when we can relax,” Toney said.